Crossing into the small town of Damascus, VA on May 3rd, I realized that I was well ahead of the party of the year. 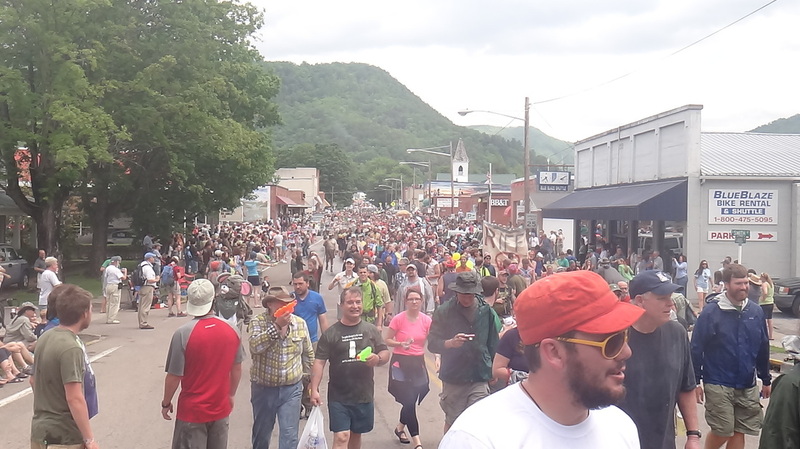 Known up and down the East coast for having the largest hiker gathering each year, Damascus hosts the "Trail Days" event. Bringing in gear vendors, local sellers, hikers from all over, and including a parade and hiker talent show, this was an event that I just had to go to. Resting up, I hiked on, with a promise from local Marion, VA relatives that they would pick me up further up the trail and bring me back to enjoy the hiker gathering. Virginia is an idyllic landscape that was the first state that finally saw a lessening of the "herd" of hikers. Many A.T hikers stop at the Trail Days festival and call it good, and many more take many days off. 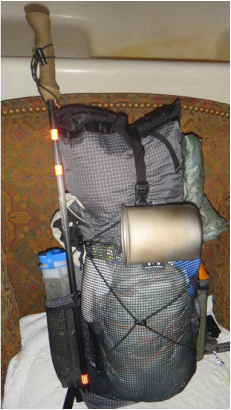 This both helps to separate some of the hikers, and also to clump up the remaining ones into large traveling circus acts of a dozen or two thru-hikers loosely traveling together. My new 2,300 cubic inch pack by MLD. 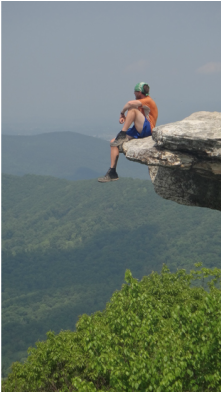 McCafe Knob, one of the most photographed spots on the Appalachian Trail. All photos are my property, and the property of this website unless stated otherwise. Written Permission must be obtained before using or copying any of these images.